Just wanting to say hi to our local members. Met with a fellow SSM owner at HPR this weekend and seeing if you happen to see this post! I am trying to finish up my car so I can get back out there at the track... Time and motivation are always low. Yay, a local member responded! Looks like you got quite a bit of work to do! No one posts here much these days, most activity is on the facebook page or sometimes s2kca. but even those are pretty quiet. I'm normally at the C&C event first saturday and try to make it to track days at HPR, always wave if i see another S2k on the road. I'll be at HPR this Sunday (Emich event) if anybody else is going. Would love to see another S2000 there. I haven't seen any the last couple times out. Haven't brought mine out of hibernation yet due to time/travel constraints, but hope to meet up with other owners at some juncture. You'll probably see me out there this year. I've slacked on finishing this car the last couple years due to work and my other vehicles, but I'm hurting to get back on the track. I used to do like 15+ track days a year, but... Not so much lately. 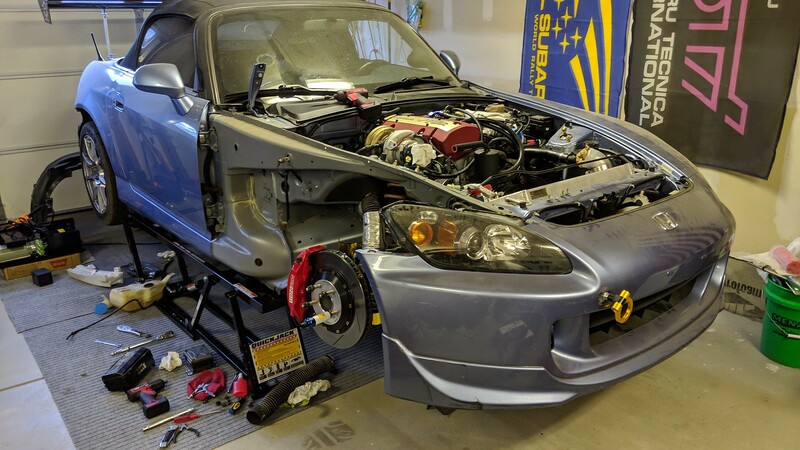 Any Louisville Kentucky S2000 owners?